Yesterday I received a lovely package from Cheshire in the U.K. from the Laughing Hens yarn shop. Isn't that a great name? It was the Rowan yarns I ordered to make Kaffe Fassett's Triangle Squares Cushion. I'll blog about that project when it gets to the top of the queue. 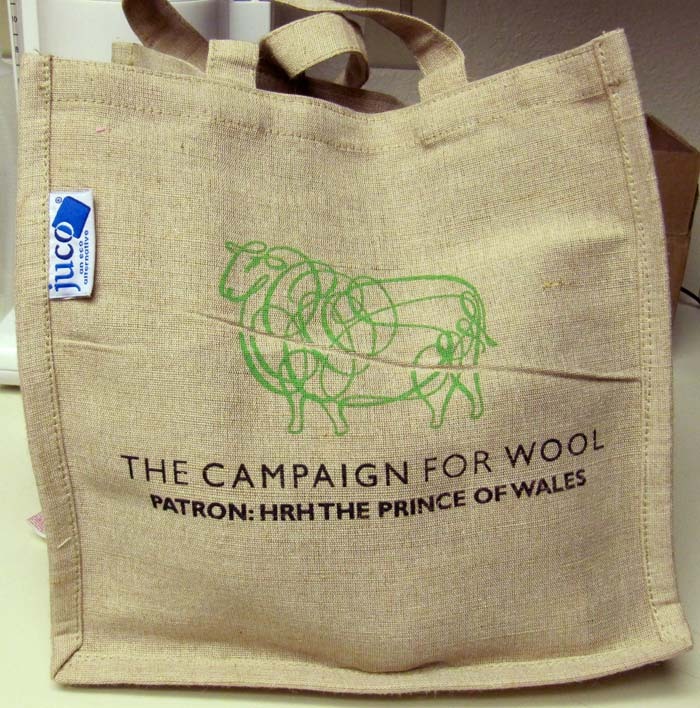 Included in the package was a very nice surprise, a knitting bag from the Campaign For Wool. I hadn't heard of it before, so I went to the website and learned that the campaign was started over a year ago to support all aspects of the wool industry: the farmers, shearers, manufacturers of clothing, furniture, things for the house as well as textiles and crafts. 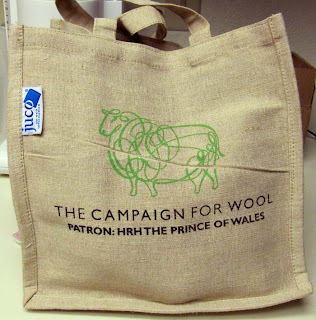 The patron of the Campaign For Wool is HRH, Prince Charles, The Prince of Wales. He doesn't have to convince knitters of "the benefits of this wonderful, natural fiber", does he?!! ...and you have to love the idea of sheep in downtown London. 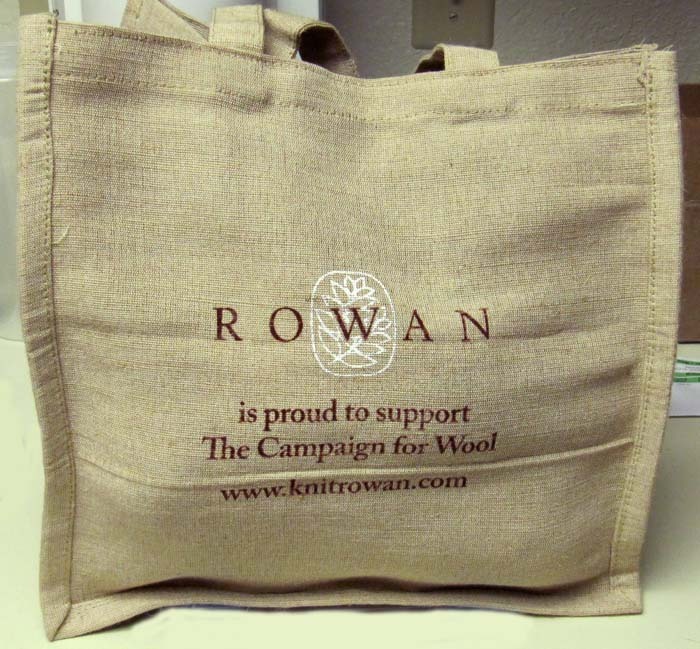 I wouldn't mind a Wool Week in the streets of downtown Denver!